In a large mixing bowl, beat eggs until foamy. Gradually add sugar; beat until thickened. Add cream, vanilla and salt and mix thoroughly. Pour mixture into freezer can. Add milk to fill line on the can and stir well with a long-handled spoon. 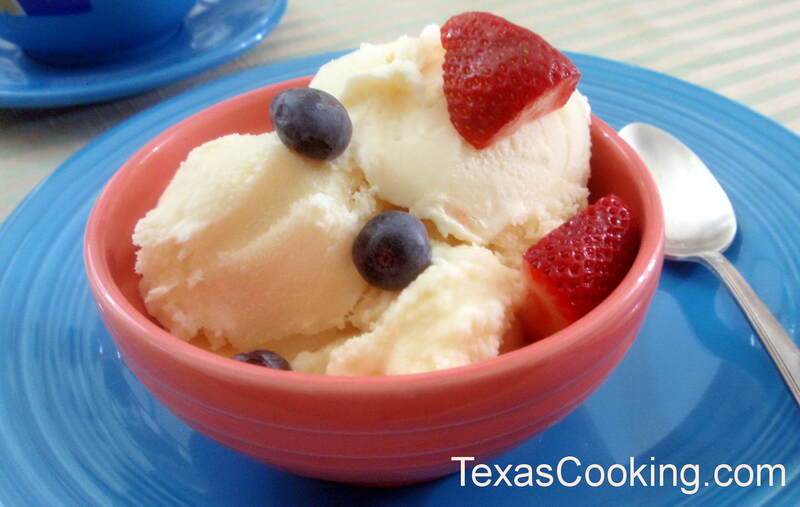 Note: We topped this delicious ice cream with fresh Texas blueberries, strawberries and chocolate syrup.